You are currently browsing the archive for the Thanks category. 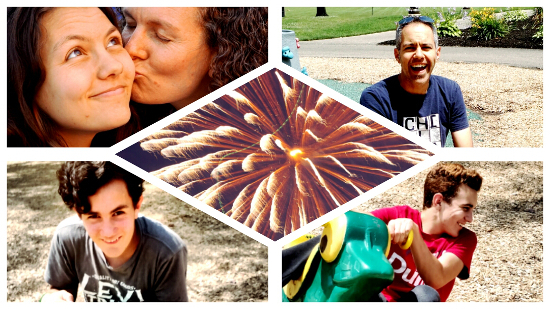 The fireworks on the Fourth were in celebration of our nation’s independence, but the smiles on our faces and the general frivolity that you can see in the photos above are in response to a different stimulus—we’ve received final clearance to return to Mexico! Indeed, we praise God for His provision, and we thank all of you who have helped to make this moment possible. Each of you is appreciated, because we know that without you, none of what we do would be possible. We now set our sights on Mexico and our upcoming four-year term. 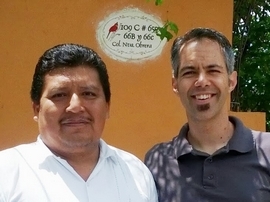 We’re excited to collaborate with the Lord and the Mexican Assemblies of God to realize the vision of the Yucatán peninsula full of churches, diverse in class, status, education, and language, but united in their love for the Lord and one another. We’re committed to a mission of inspiring pastors and christian workers to see the need all around them, equipping them with the spiritual and practical tools that they need to reach their communities, and partnering with these individuals throughout the process, implementing with intentionality the plan that the Lord gives us for each community that we reach, town by town, municipality by municipality and state by state, until the vision becomes a reality. We’re especially excited about the partnerships that we’ve cultivated with Teen Challenge, Sustain Hope, Network 211, and now AGCHE, ministries that are helping us implement holistic methods to preach and model the whole Gospel, methods we’re sure to utilize. For now, though, the transition begins in earnest. We’re already out of the house that we had called our home for the past year as we prepare our bags for the flight to Mérida on August 4th. Another task on the list is selling our vehicles. As we close, we’d like to ask for your continued prayers and support, both in this transitional time and in the term that awaits us. Your perseverance in this area is crucial to keeping us on the field and effective for the next four years and beyond! As we gather around the table on this day of gratitude, know that we count you and your family among our greatest blessings. “We’re committed to return to Mexico, body, soul, and spirit!” Those are the words we share as we promote our ministry in preparation for our third term as missionaries. On November 2nd, it was time to put our money where our mouth was. 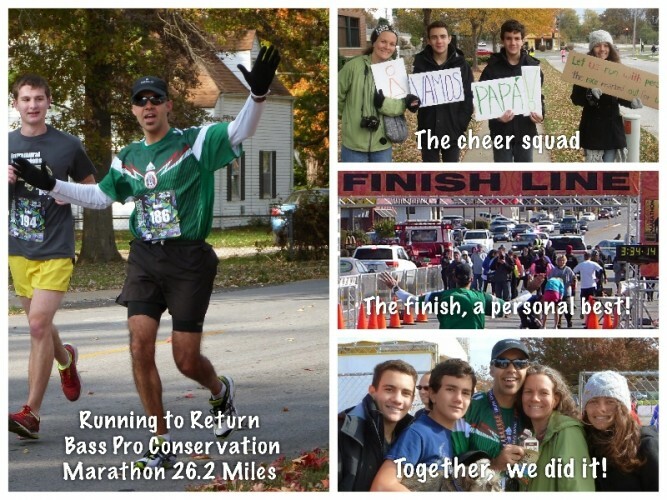 That was when I (Dave) would run the Bass Pro Conservation Marathon as a fundraiser to accelerate our physical return. The distance of the marathon is 26.2 miles. It’s enough to push the limits of physical endurance and bring determination to the breaking point, a fitting analogy for the uphill struggle that can be the task of raising the support required to return to the field. Still, at 4 AM, analogies were all but forgotten. The harsh reality of the immediate goal of running the distance had made it impossible for me to remain in bed. It was time to get going. The morning routine was familiar. I had done it all before, but I was as nervous as if it had been my first race. There were physical concerns: could my body handle the distance? Then there was the fear of letting down our supporters: would I be able to make good on my promise of finishing the marathon? 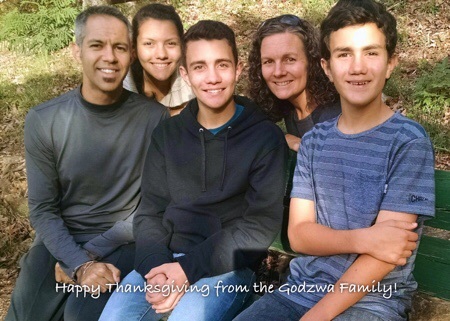 The sight of my team, the Godzwa Family (accompanied by my mother-in law, Kim), brought relief. I wasn’t running alone. Their encouragement all through the race helped me see that they weren’t holding my commitment against me. They, along with our supporters, were pulling for me to finish. The race then became 26.2 miles of affirmation, my body remembering its training, and my mind soaking in the support it received at every critical point until I finally reached my goal, in record time. In the wake of our marathon effort and in this month of Thanksgiving, we take this time to recognize your role in helping us run the race, realize the vision, and make the difference in Mexico. PS. While we’re tabulating the results of our fundraising tied to the marathon effort, there is still a window of opportunity to be counted among the members of our support team! Follow the link for details on how you can be a part. PPS. Photos from the race are available here! From Mexico to Missouri and back again! It’s been quite a ride for us since our last update. We’ve moved five times and only just this week have begun to settle into what will be our home for our year of itineration. Our first move came as we vacated our field housing in preparation for departure. Our second was our flight to Springfield where Kelly was greeted with her driver’s exam. (Her license had expired while we were away, so she needed to pass both the written and the road tests.) Then we were off to Erie, PA for a month of reconnecting with family and supporting churches. The fifth move was our trip back to Missouri just in time for the A/G Centennial celebration. Finally, we vacated our temporary housing and came to rest on the west side of Springfield, in the Willard school district. 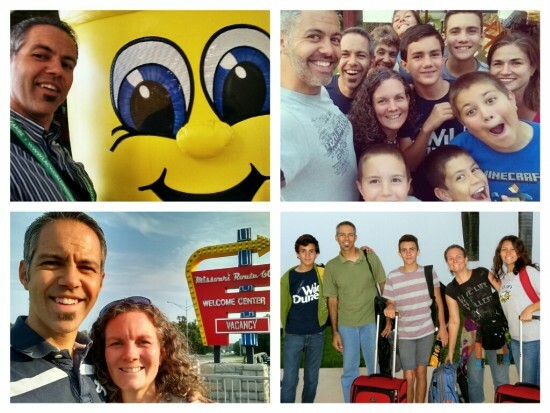 As we prayed with the kids on the night before their first day in American public schools, I reflected on all of the movements and couldn’t help but be thankful both to God and to those He used to make our relocations possible. There were so many crucial moments, so many opportunities for things to go wrong, but with His help, and the help of those so moved to respond to our need, we passed from moment to moment without fail. We’ve come to the US and traveled the miles so that we might connect with you and share with you the burden that we carry for Mexico, but also the joy that we experience as we walk in obedience to Christ and His calling. We do so to raise support: prayer and financial, so that we might minister more effectively. We do so also to call others into obedience to Christ as He stirs the hearts and lives of those who would follow, some to Latin America, others to other regions in the world, for we know that the task is great, but the workers few. But such a return trip is not without risks. We risk the possibility of the doors of opportunity being closed to our stateside ministry. We risk the inability to raise our necessary support in order to return. We understand these risks and face them, with honesty but also with determination, knowing that the same God who enabled us to return, will be faithful in sending us back as He works his miracles on our behalf, many of those through the hands of those He has assembled in partnership around us. Thanks, then, to those who have received us and to those who will soon extend this favor. Thanks for allowing us the opportunity to connect with you and to enter, if for just a moment, into relationship, to be an instrument through which God might move you to fulfill the unfinished task. You’d have to question the appropriateness of the phrase as well after having spent the week that I did with these college students! 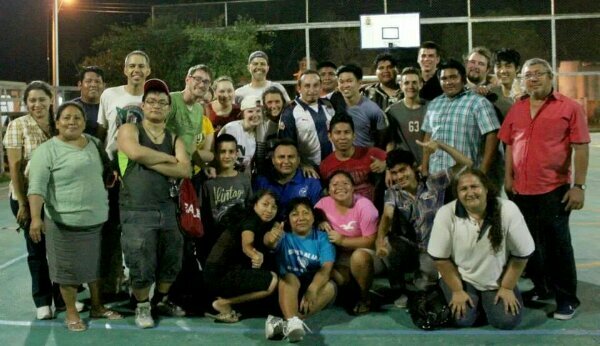 As I had mentioned in my previous post, we hosted a 10 person team of Chi Alpha students and staff from American University as they spent their Spring Break here in the Yucatán. However, contrary to preconceived notions about the time period, these youth did anything but rest! Following their arrival on Saturday the 8th, we hit the ground running with services in the morning and evening to kick off the week’s events. 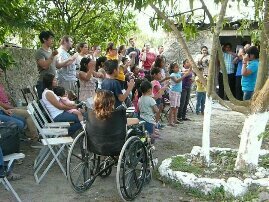 Our morning service was hosted by La Casa de Oración, the year-old mission in the town of Sierra Papacal of one of my former students, Guadalupe Campos. 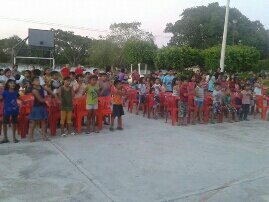 It was a time of welcome and preparation for the work among the kids that would take place during the week. 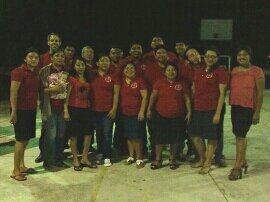 The evening service was held at Eben-ezer, a church in Mérida, pastored by Gabriel Gongora, the current director of Instituto Biblico Bethel. There, I had the privilege of translating for my brother, Mike, as the team was highlighted for the construction work that they would undertake in the Bible Institute. On Monday, the construction began. Partnering with the Bible Institute students, we worked each morning until Wednesday to lift 1500 concrete slabs into place as part of the structure that will serve as the second story roof, effectively topping our three and a half year expansion project of the institute’s dining, classroom, and library facilities. 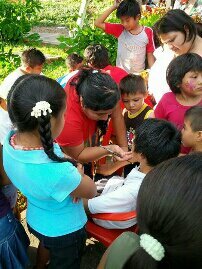 Each afternoon we worked together to bring Vacation Bible School activities to the children of Sierra Papacal. Following our prep time on Monday, we worked Tuesday and Wednesday in the church facilities, teaching, making crafts, singing, and playing exclusively with the kids. However, on Thursday afternoon, we were able to serve the entire community with free haircuts, hygiene checks, and lunch to boot. Our closing rally in the evening was a blessing as several of the kids to whom we ministered responded to the call to pray to receive Christ. We couldn’t have been more pleased with the results as Mexicans and Americans worked shoulder to shoulder to see God’s purposes advanced in the Yucatán. It was truly a team effort! There were no injuries whatsoever in our construction project or mishaps on the road as we traveled from place to place. In fact, I don’t even remember being asked for a band aid during the entire trip! All stayed perfectly healthy; even Montezuma’s revenge was kept at bay. The integration among the groups was stellar. 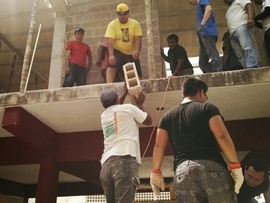 In each aspect of the trip, both Mexicans and Americans joined together to get the job done. The response in Sierra Papacal was enthusiastic. New kids were reached with the message of the gospel, kids who are now being channeled into newly formed discipleship groups. Of course, none of this would have been possible if this team of university students hadn’t forgone their break in order to invest in the Yucatán. So thanks, Mike, and the entire AU Chi Alpha team. Rest assured your work is appreciated! Did you enjoy the post? Be sure to take a look at the pictures as well! Moments like these lead those who experience them to live out the implications of the message, a message that is able to reach them now that the barriers to its understanding have been removed. 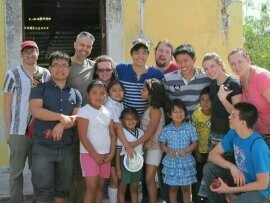 Thanks for helping remove obstacles to the gospel and build bridges to its understanding and application here in the Yucatan. December 25 is coming and with it, the pressure of finding that perfect gift to please those special someones on Christmas morning. Still, although I would include myself in those anxious to unwrap what awaits under the tree, I know that no present satisfies like the gift of presence this Christmas. Still, nothing compares to what He did for us though His Son. He took on flesh that He might be touched. He limited his vision to human eyes that He might see from our perspective, and He set aside his divine power that He might be able to empathize with us in our weakness. Jesus was truly Immanuel, God come near. This Christmas, as we too are able to spend some time with our loved ones, we encourage you to reflect the love of the Father, and give the gift of yourself to those who near and dear and perhaps even to those who might fall outside of that circle of intimacy. 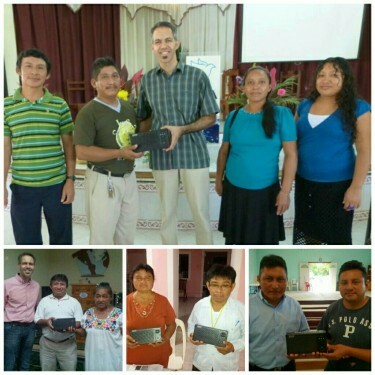 As we encourage you to give of yourself this holiday season, we’d like to thank you for what you do to enable us to represent God’s presence here in the Yucatán. Whether it be the Maya speaker who hears the Word of God for the first time in their own language, an alcoholic who receives help from a church sensitized to their plight, or a Bible college student who finds direction on his path of spiritual formation, our presence in this place is a reminder to these that God would even call a foreigner cross the gap of culture and distance to show them, in an unmistakable way, that He loves them. Thanks for your willingness to respond to and share our burden for the people of this region with your prayers, with your finances, and for some even your direct involvement. 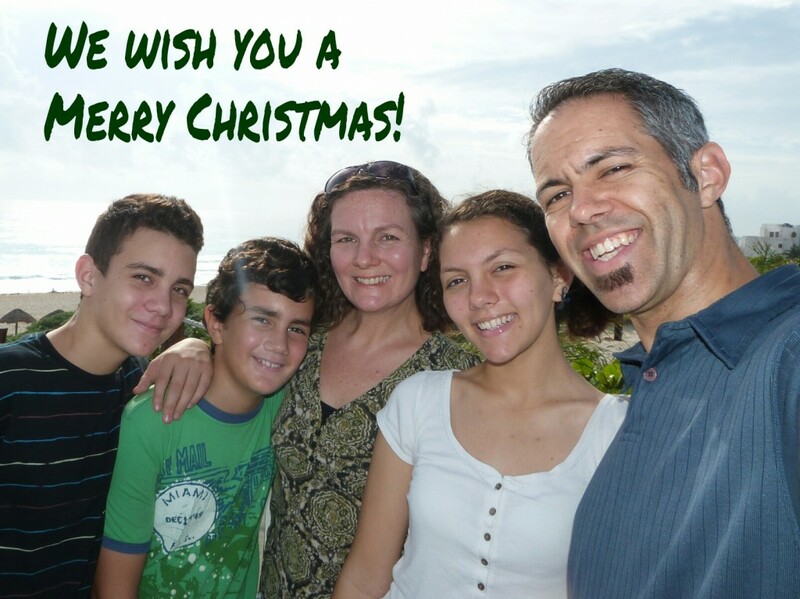 Blessings on you this Christmas, we couldn’t do what we do without you. Like to share this post with a friend or take it with you to church? Download and print or forward our PDF newsletter! Oxcum 2013, Your Prayers Were Evident! That the authorities would grant us the public space for the event. For all of the details that go into the organization of such an event, from the supplies, personal, and equipment, to the message that would be delivered in word and in deed. For an enthusiastic coordination between the local mission members and the students of “Instituto Bíblico Bethel” as they work for the common goal of sharing God’s love with the people of Oxcum. I’d like to give you an update on those requests, and believe me, it’s good news! From the city officials to the local pastor, the response was rapid and enthusiastic. We were given full access to the town park and the basketball court for the duration of the event along with chairs and a stage, delivered on time! The lighting and electrical hookups that were included were reliable and also free of charge. There was even a police force present to ensure that the event went off without incident. There was an endless list of supplies, personnel, and equipment necessary to make the this event happen. From face paint for the kids to non-perishable food items to be handed out to families in need. All came in, and in abundance! We had hoped to provide help to 25 families. In the end, there was enough for 45! When I sent our original list of requests last week, I checked the forecast. At that time, there was a 70% chance of rain predicted for our event. With everything that we had planned, we needed the weather to cooperate. Well I’m happy to report, it did! Blue skies and sun greeted us as we entered Oxcum, and the full moon lighted our evening service. It would have been hard to ask for better weather. Without cooperation, events can happen, but they’re a whole lot more difficult! Thankfully, last Friday, we had cooperation to spare. In our time of debriefing this Tuesday afternoon, the comment that I heard the most was that the event was so well organized and all of the participants were so willing to help. From the kids of the mission who passed out invitations to the students of the Bible Institute who shampooed dozens of heads to ensure that they were free of “visitors,” everyone served with a smile. We can certainly be thankful for the ability to hold events like these, but we understand that the real results come afterwards as those touched by our outreach have new opportunities to connect with the church and grow in Christ. The difficulty lies in gathering the data necessary to ensure proper follow-up. I’m happy to report that we were able to provide the church with the data that they need to make these connections possible in the form of 41 contact cards. These came, not only from the 11 who came forward at the end of the night for salvation, but also from the dozens who sat and spoke with the counselors who were available throughout the event. We were blessed this past Friday and so was the town of Oxcum! Nevertheless, we know that none of this could have taken place without your involvement. Thank you! Want to see more? Take a look at the pictures in our growing album of the event. I just wanted to post a quick update, especially for those who have been faithfully supporting our initiatives during this second half of our term in Mexico. 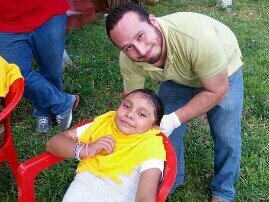 Thanks to you, we now have an official, Teen Challenge certified, rehabilitation center director resident in the Yucatán. 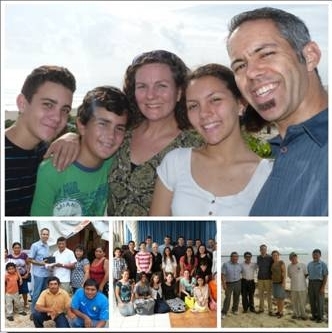 This April, because of your generosity, we were able help send Andrés Vera, pastor and director of “Nuevo Amanecer” rehabilitation center in Tekax, Yucatán to Mexico City to be a part of a month-long intensive training seminar covering the Teen Challenge program. While there, he not only studied the program, he had hands-on experience as he lived and worked among those being served by the Mexico City Teen Challenge Center. He’s come back both ready to implement the program and train others who are desire to help those locked in the vicious cycle of substance abuse. What’s even more exciting, Andrés’ training included certification in the Living Free small groups program designed to help families of substance abusers. These materials give pastors the tools to effectively reach out to families stricken by substance abuse, providing analysis and options for resident care as well as the ability to intervene even before resident care becomes a necessity. We’re hoping to provide these materials district-wide so that more churches are able to work to remove the obstacle that substance abuse so often presents to the gospel.